Please join me for an On the Table Philly meal on May 23rd at Homegrown Coffee 1406 W Jackson St from 10:00 AM. We’ll have a lively discussion about the Brush Factory, trash or other topics of interest over coffee & pastries. So bring your ideas and experiences to share along with you appetite! Please R.S.V.P. to afg727@gmail.com by May 15, 2017. 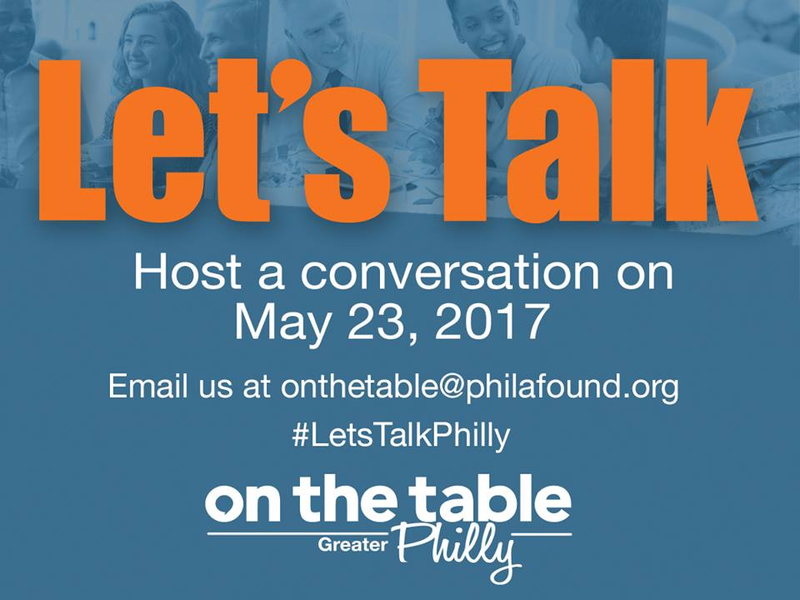 On the Table Philly is a forum designed to engage area residents in open dialogue, foster new relationships and inspire solutions to strengthen communities. On the Table Philly wants to connect individuals and communities across different backgrounds and interests “to elevate civic conversations”. On the Table Philly meal on May 23rd at Homegrown Coffee 1406 W Jackson St from 10:00 AM.